20th June 2015: There's only one thing I can really say about this gig - freaking awesome! Yes it rained before Blur came on stage, it wouldn't be a British Summer without it, but who cares about the weather when you have Blur on stage. The last time I saw them was in 2012 on this very stage, and back then they were frickin' marvellous too. This year, they took to the stage with an Ice Cream van, with Daman Albarn handing out the goods to the front row, which Damon said wasn't going to plan in a funny way. Starting the night with Go Out from their new album The Magic Whip, this gets the crowd singing along before an old classic - There's No Other Way. 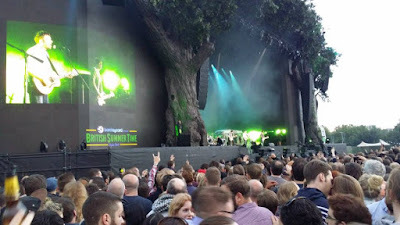 Once again, the sound is very good around Hyde Park unlike former years, and it's all very balanced, nothing too loud or quiet. Beetlebum was another sing out loud track for the audience, and of course, one of the highlights was Phil Daniels making an appearance for Parklife. Another highlight was Song 2, many a 'woo hooooo' was being sung and people losing their voices whilst doing so. Girls and Boys made an appearance in the encore, and they finished with The Universal. Throughout the set they did a few numbers from the new album, but they did omit one of my favourites, Ghost Ship which I would have loved to hear live. 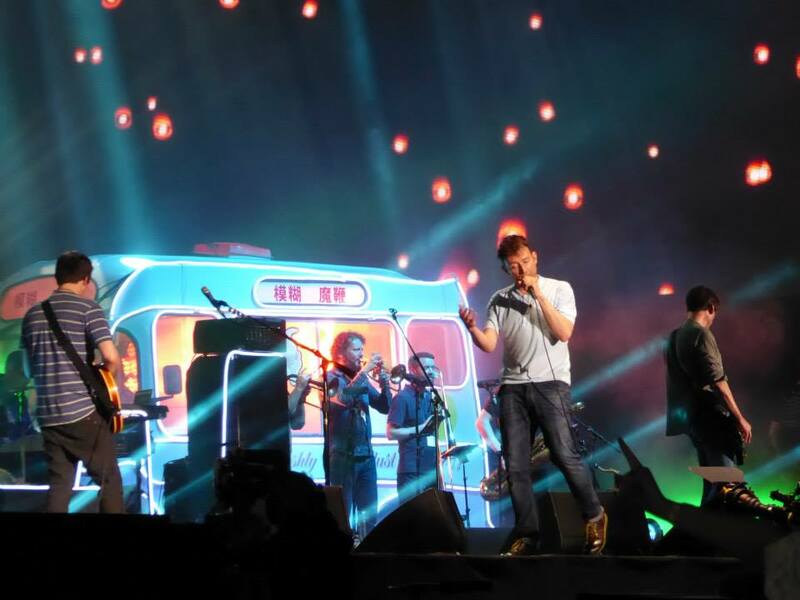 As usual, Blur lived up to expectations, and like I said earlier, it was freaking awesome to see them again.